We usually portray the early modern period as one characterised by the ‘birth of subjectivity’ with Luther and Descartes as two alternate representatives of this radical break with the past, each ushering in the new era in which ‘I’ am the locus of judgements about the world. 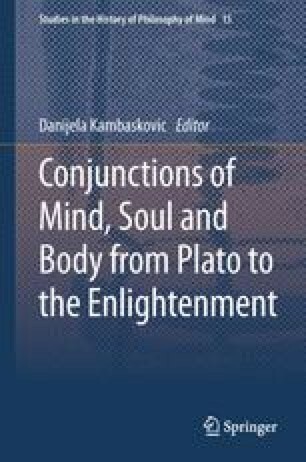 A sub-narrative called ‘the mind-body problem’ recounts how Cartesian dualism, responding to the new promise of a mechanistic science of nature, “split off” the world of the soul/mind/self from the world of extended, physical substance—a split which has preoccupied the philosophy of mind up until the present day. We would like to call attention to a different constellation of texts—neither a robust ‘tradition’ nor an isolated ‘episode’, somewhere in between—which have in common their indebtedness to, and promotion of an embodied, Epicurean approach to the soul. These texts follow the evocative hint given in Lucretius’ De rerum natura that ‘the soul is to the body as scent is to incense’ (in an anonymous early modern French version). They neither assert the autonomy of the soul, nor the dualism of body and soul, nor again a sheer physicalism in which ‘intentional’ properties are reduced to the basic properties of matter. Rather, to borrow the title of one of these treatises (L’Âme Matérielle), they seek to articulate the concept of a material soul. We reconstruct the intellectual development of a corporeal, mortal and ultimately material soul, in between medicine, natural philosophy and metaphysics, including discussions of Malebranche and Willis, but focusing primarily on texts including the 1675 Discours anatomiques by the Epicurean physician Guillaume Lamy; the anonymous manuscript from circa 1725 entitled L’Âme Matérielle, which is essentially a compendium of texts from the later seventeenth century (Malebranche, Bayle) along with excerpts from Lucretius; and materialist writings such Julien Offray de La Mettrie’s L’Homme-Machine (1748), in order to articulate this concept of a ‘material soul’ with its implications for notions of embodiment, materialism and selfhood. D’Holbach, P. H. D. (1774). Le bon sens, ou Idées naturelles opposées aux idées surnaturelles. London: n.p. Available on Gallica at http.//gallica.bnf.fr/ark./12148/bpt6k739238. Accessed 1 April 2013. Hawkes, D. (2011). Against materialism in literary theory. Forthcoming in Early Modern Culture, 9. http.//emc.eserver.org/Hawkes.pdf. Accessed 1 April 2013.